If you plan on being an early adopter of the Galaxy S 4, you might want to give it some protection early on. Griffin will be bringing a number of their most popular accessories to the GS4, including the Survivor and Reveal. They won’t be available until June, though. Check out the press release below for more information. Nashville, Tenn. – March 19, 2013 – Griffin Technology, one of the world’s foremost creators of innovations for everyday life, announces their line-up of cases and chargers for the new Samsung Galaxy S4. 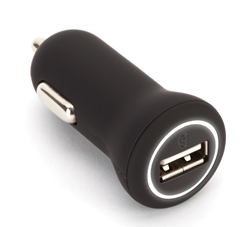 Griffin will make available a variety of styles and colors to suit users’ needs, along with wall and car chargers featuring Griffin’s ChargeSensor technology. 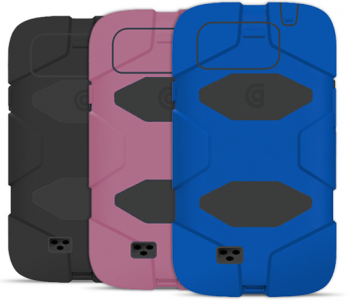 Leading the line-up is the Survivor Military-Duty Case, Griffin’s most protective case. Designed to meet or exceed US Department of Defense Standard 810G, Survivor is built on a shatter-resistant polycarbonate frame and clad in rugged, shock-absorbing silicone. This combination of materials protects against dirt, sand, rain, shock, vibration, and a host of other environmental factors. Survivor for Samsung Galaxy S4 comes equipped with a belt clip and will be available in black, pink, and blue for $49.99. 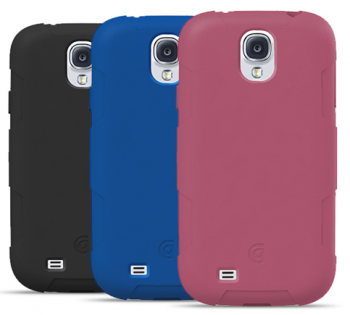 Survivor Skin for Samsung Galaxy S4 is a tough, resilient silicone case that is perfect for absorbing impact and vibration. It is protective enough to pass military-standard tests, yet slim enough to fit easily into a pocket. 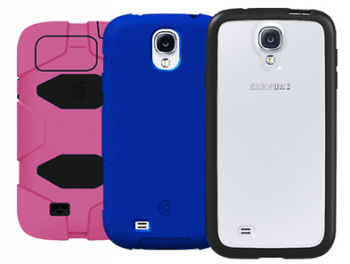 Survivor Skin for Samsung Galaxy S4 will be available in black, pink, and blue for $19.99. The sleek one-piece design of Griffin’s Reveal case lets the beauty of Samsung’s Galaxy S4 shine through, even as it shields the phone from the outside world. The ultra-thin, hard-shell design protects, yet adds only 1.6 millimeters in thickness, with slim rubber edges that cushion and grip. 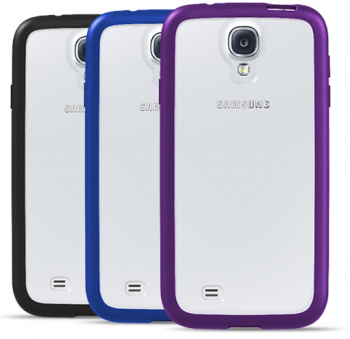 Reveal for Samsung Galaxy S4 will be available in black, purple, and blue for $24.99. With its clean lines and functional design, Griffin’s Midtown Wallet case is appropriate for any occasion. The Midtown Wallet holds the Samsung Galaxy S4, cards, cash and paper, keeping everything protected and organized. This compact, one-piece folio flips open to reveal the Samsung Galaxy S4 touchscreen, then closes for privacy and protection. Griffin’s Midtown Wallet for Samsung Galaxy S4 will be available for $44.99. Samsung Galaxy S4 will get the perfect charge with Griffin’s low-profile PowerBlock Universal AC chargerwith Griffin ChargeSensor technology. PowerBlock works with any AC power source from 100 to 240 volts, delivering safe, efficient 10 watt charging for smartphones, tablets, and e-readers. ChargeSensor technology determines the charging needs of any connected device and delivers appropriate charging levels.PowerBlock Universal with ChargeSensor will be available for $29.99. 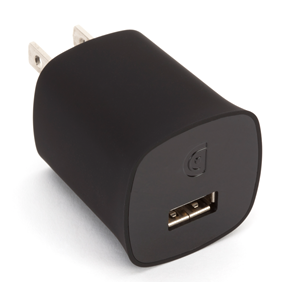 Griffin’s PowerJolt Universal with ChargeSensor sports a low-profile plug for the car’s 12 volt accessory outlet and a powerful 10 watt charging circuit to charge Samsung Galaxy S4 and other compatible mobile devices quickly and safely. An LED power indicator glows to signal that the device is ready to charge, and its internal SmartFuse circuit breaker, protects against power fluctuations with no need to ever replace fuses. PowerJolt Universal with ChargeSensor will be available for $24.99. 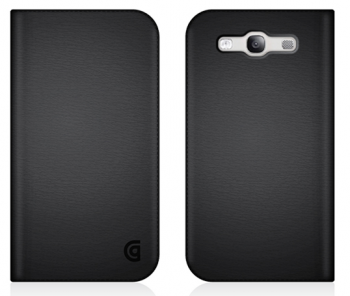 Griffin’s new cases for the Samsung Galaxy S4 will be available in June 2013. PowerBlock and PowerJolt Universal chargers with ChargeSensor will be available in April 2013. For more information about Griffin Technology, visit www.griffintechnology.com.